You can say that again, and again, and again! It’s great to be back after one week without internet connection and one week with hubby home on vacation. 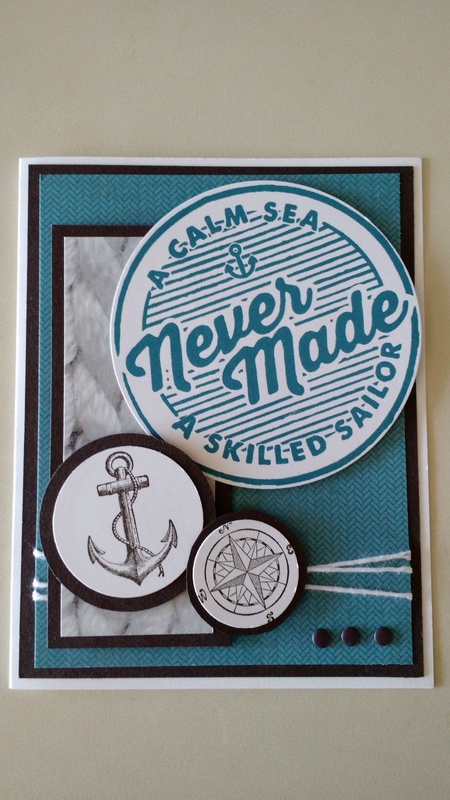 This is a card I made with a leftover piece of “rope” paper from the Adventure Bound Designer Series Paper Stack. I wanted it to be longer, but it wasn’t stretchable rope! : ) The blue is a another patterned paper from the same stack. Hi Friends! I’ve been among the missing this week, hosting stamping classes and working for my son Jonathan’s Summersweet landscaping business! This is a Mother’s Day Card that we made at classes this week. 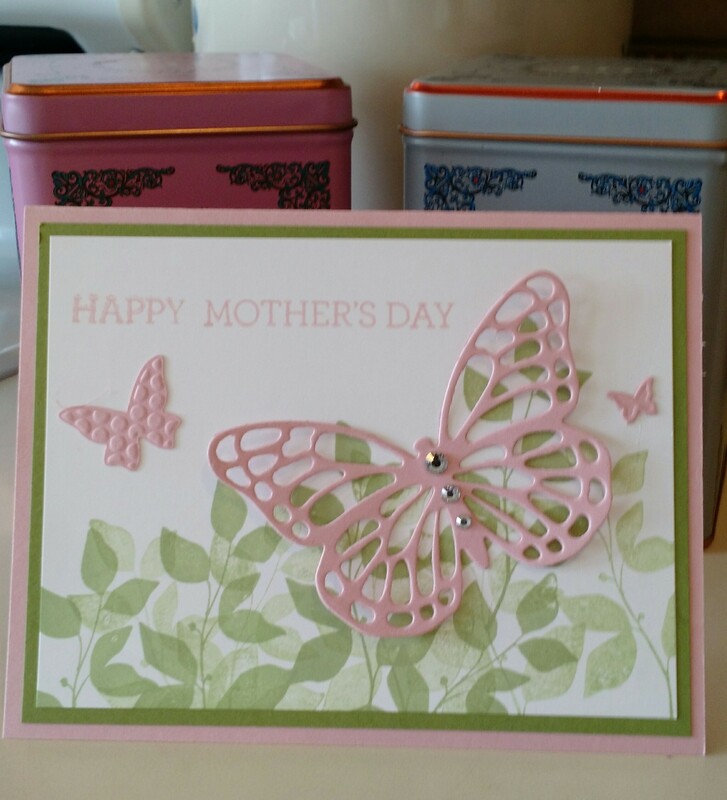 It uses the new Butterfly Thinlits and the new Crazy About You Stamp Set in the spring catalog. The leaves are from the Summer Silhouettes Stamp Set. This one is for my mother-in-law, but we’re also making them as gift certificates for Summersweet. : ) I hope you have a nice and relaxing Mother’s Day! All of my downline are my friends and elders, and they teach me much more than I can ever teach them! 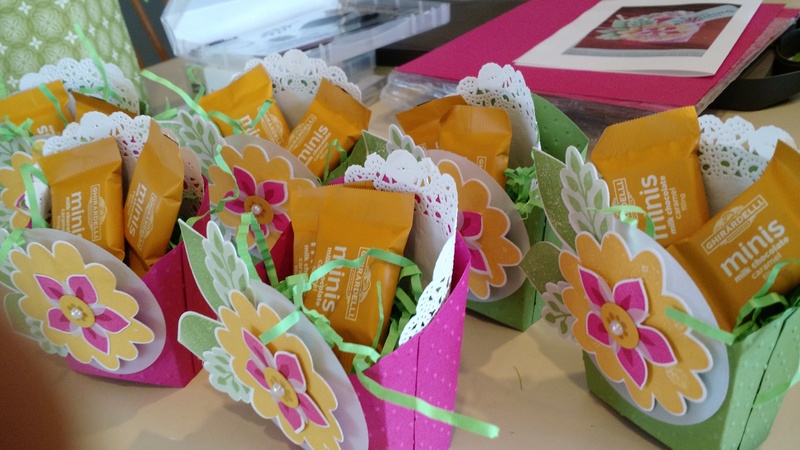 This card was made by Mimi, for a downline challenge we are having in the month of May using retiring products. 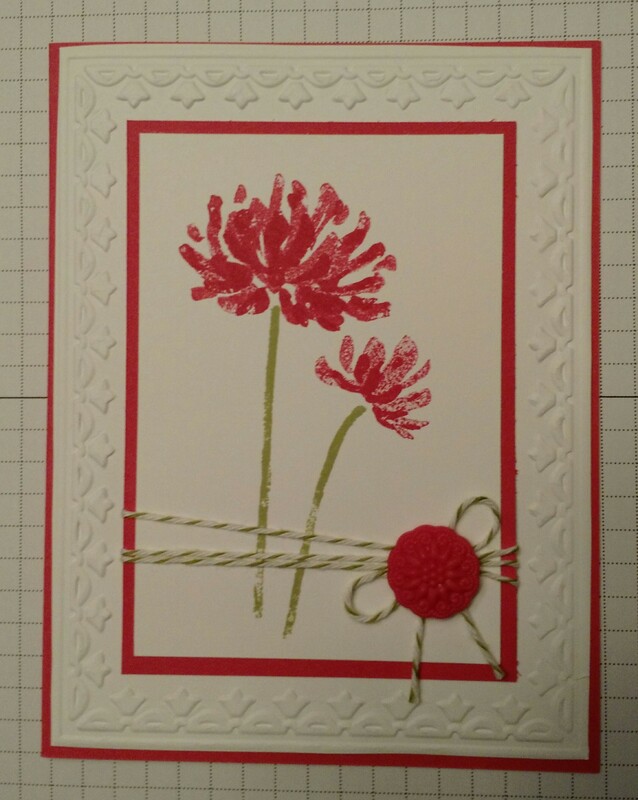 Mimi’s beautiful card uses the retiring Too Kind Stamp Set. I watched her make it last night using a MISTI (Most Incredible Stamping Tool Invented). It’s amazing! (the tool, and the card!) : ) This card uses retiring Strawberry Slush ink and cardstock. The larger flower images were stamped off once before they were stamped so they appear lighter in color. The darker, smaller flower images on top of the larger images are stamped with full juice. 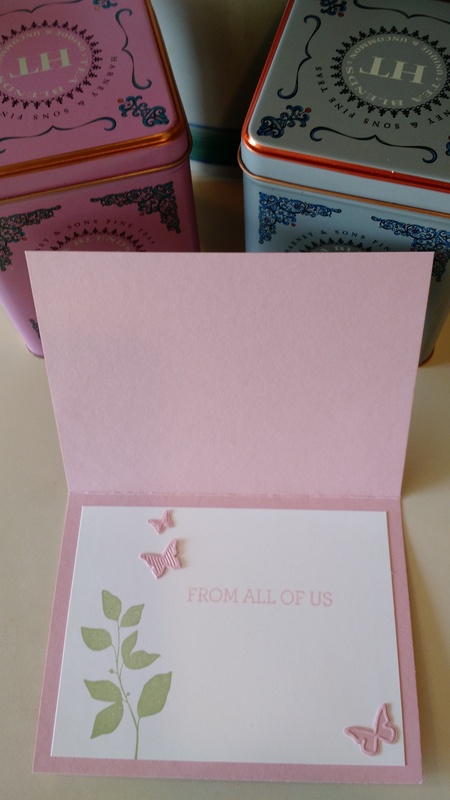 Thank you for sharing a beautiful card Mimi, and Happy May Day friends!